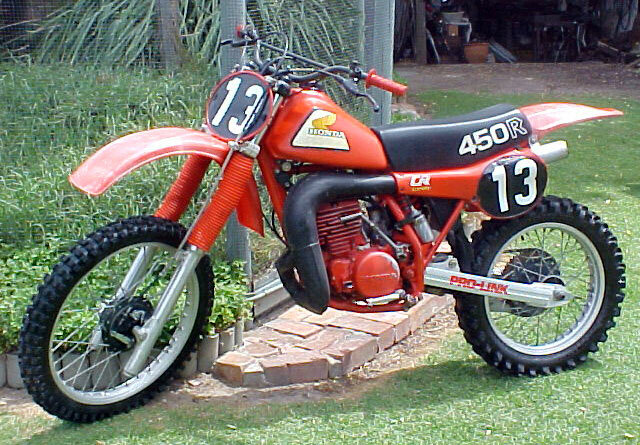 I purchased this 1981 CR450R new back in 1981 and still own it. It is in very good condition especially as it has not been ridden for 10 years and has been in storage during that time. It is still on the original bore. The bike was never raced. In it's early 5 years, it was ridden a fair bit in the bush near my parents farm. Then i rode it only about once a year when I went on an annual 2 day ride with friends (across the high plains). Since 1994 it has been in storage and not ridden.